Susan Fedorko was 40 years old when she found her birth family—or rather, when a long-lost sister found her. 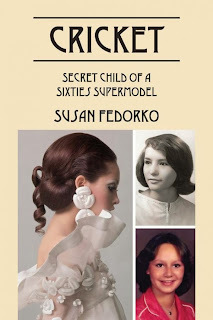 Her first book, Cricket: Secret Child of a Sixties Supermodel (Outskirts Press, 2012) chronicles Fedorko’s journey from Native American adoptee-turned “white” mother and wife, to a person reunited with her extended family. That family hails from the Grand Portage Indian Reservation people on her mother’s side and the White Earth Nation on her father’s, both Chippewa/Ojibwe. In an unexpected twist, Fedorko discovered that just a few years after her birth, her birth mother—Cathee Dahmen—had become an immensely popular supermodel, probably the first Native American woman to attain that status. 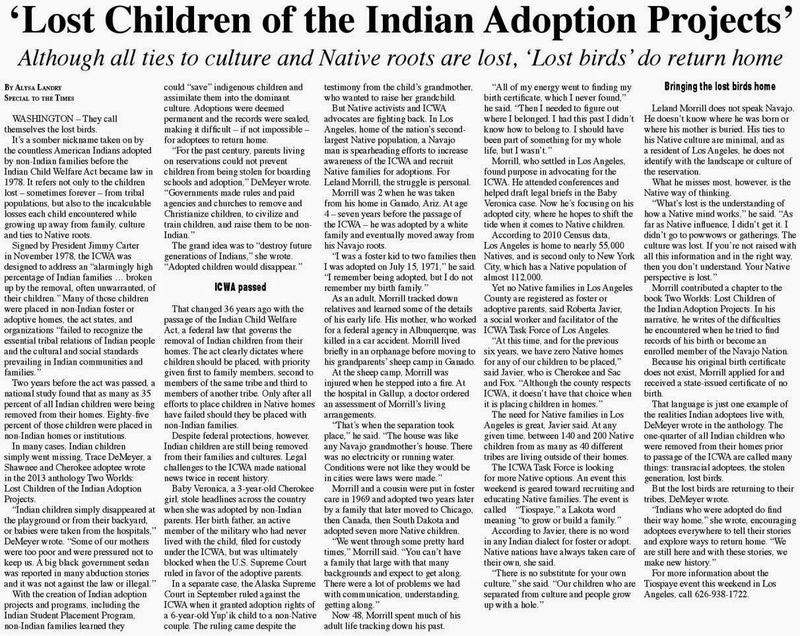 Fedorko sent Indian Country Today Media Network the below gripping open letter to Veronica Brown's adoptive parents Matt and Melanie Capobianco. My heart is heavy for Dusten Brown and the entire Cherokee Nation/Native American people. He has done everything right he could do to keep his biological daughter Veronica. I am a Native American adoptee who was adopted prior to the Indian Child Welfare Act of 1978. I spent my entire life trying to return to my Native people. I finally returned at the age of 40. 1. She will most likely constantly be challenged with her identity. She knows who her biological father is. On paper, her father may be Matt Capobianco. But in heart and soul it is Dusten Brown. 2. She will most likely never trust again. You have ripped her away from her father and step mother and sibling. 3. She will most likely yearn to be accepted. Relocating her from her biological family will leave her “unsure” where she belongs. 4. She will most likely be reminded that she is an adoptee all her childhood years. School age children will serve as a reminder that she is different from the other kids. My heart aches that Veronica will not be exposed to her Indian language and customs. These traditions and customs should be a part of her life as a Cherokee child. She should be able to dance and pray—it is her birth-given right that you have stolen from her. This child should have never been rendered as “adoptable”; she has a loving father and family. The Native American community has been run over once again, cast aside without regard. 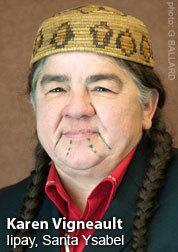 Veronica Brown is of Native American decent, and her civil rights as Native have been violated. The rest of America just stands by and watches a non-Native couple steal her away from her father who was determined fit to raise her. She will one day become a teenager, and then adult Veronica. Her Lost Bird Wings will find her way back to Oklahoma. Undoubtedly you will have 14 years with her—14 years of pretending to be her parents. It was obvious that Veronica was a member of a perfectly loving family. I just do not understand this degree of selfishness—to take one man’s biological daughter away from him, when clearly they were meant to be together. What are we missing when a non-Native couple can waltz in and claim our Indian children? I am a Native American adoptee who wishes that I had someone fighting for me as diligently as Dusten Brown has fought for his daughter. Adoption is not for the weak. I have survived it, and if there is one thing that I have learned it is that Native blood does not wash away, regardless of how much other blood runs through our veins. We are proud Indian people. I am sure that Veronica will return home to stay after learning of the circumstances that led her away from her biological father. 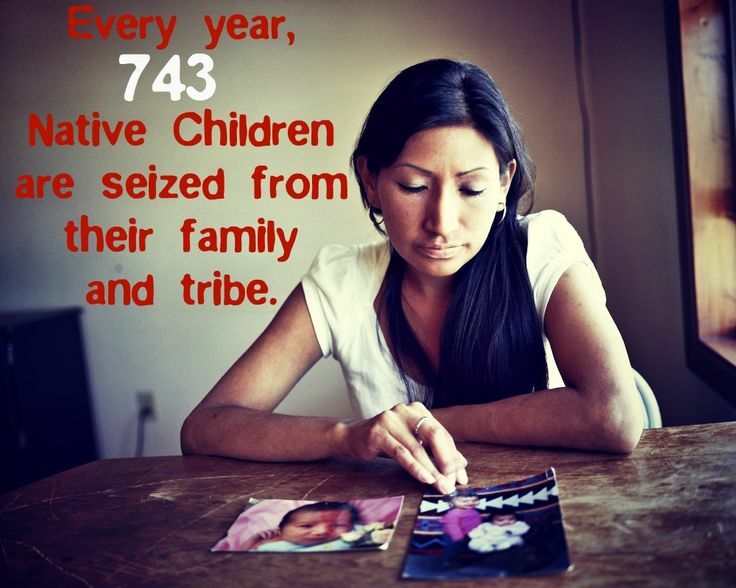 I hope in the future our Indian Child Welfare laws will be enforced to protect our Indian children. To protect them from being planted into another non-Native family. 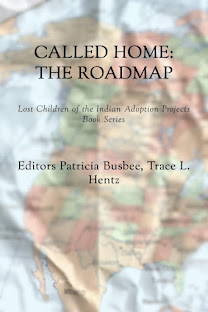 Suzie also wrote a narrative in the anthology TWO WORLDS: Lost Children of the Indian Adoption Projects. 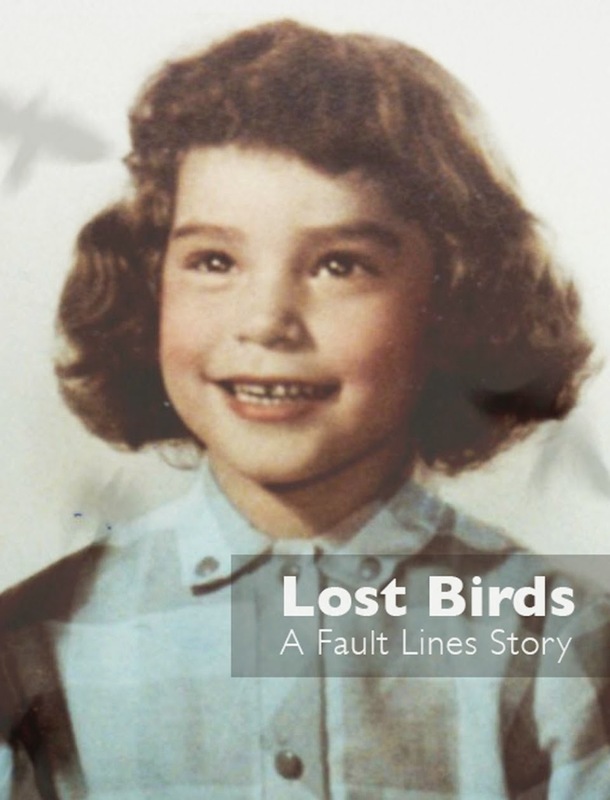 Both her memoir and the anthology are available on Amazon.com.